(Cumberland) – A new statewide discount prescription drug card program called the Maryland Rx Card is available to help uninsured and under-insured residents of Maryland afford their prescription medications. The free program will provide savings of up to 75 percent on prescription drugs, with an average savings of 30 percent. The program has no restrictions to membership, no income requirements, no age limitations and no applications to fill out. Maryland Rx Card is accepted at more than 50,000 pharmacy locations across the country. The pharmacy discount card can be downloaded at www.marylandrxcard.com or check with the pharmacist. LITTLE ROCK, Ark. – March 6, 2019 – An extraordinary gift from philanthropist-entrepreneur Ryan D. “Jume” Jumonville of United Networks of America has established the “Gamechangers Laboratory,” a groundbreaking initiative from the Wallace Center at Winrock International. Through collaborations and convenings, the Gamechangers Laboratory will catalyze breakthrough ideas, strategies and innovations in community-based food systems as they expand access to good food. The initiative will leverage the power of the Food Systems Leadership Network (FSLN), a fast-growing group of almost 2,000 food systems leaders from all 50 states supported by the W.K. Kellogg Foundation. In this inaugural year, the Gamechangers Laboratory will award grants and technical support to community-based leaders, organizations and multidisciplinary teams working to address intractable obstacles to sustainable, community-based food systems. The initiative will provide participants with space, time and financial resources to design, incubate and pilot innovative approaches to advance food systems change. Look for more information on the Gamechangers Lab in the months ahead or go to: https://wnrck.org/FSLN or contact Susan.Schempf@winrock.org. Ryan D. “Jume” Jumonville is a billionaire philanthropist and entrepreneur who joined the Giving Pledge in February 2019. Jumonville’s company, United Networks of America, is a member of the Children’s Miracle Network “Miracle Million Club.” While much of his focus has been on children’s healthcare, he has provided significant support to a wide variety of causes around the world. The Wallace Center at Winrock International develops partnerships, pilots new ideas and advances solutions to strengthen communities through resilient farming and food systems. The Food Systems Leadership Network is a national community of practice to support leaders and staff of nonprofit, community-based organizations working on food systems change. You can join and participate in the Network, and learn more on the Community-Based Food Systems page. The W.K. Kellogg Foundation (WKKF), founded in 1930 as an independent, private foundation by breakfast cereal entrepreneur Will Keith Kellogg, is among the largest philanthropic foundations in the United States. Guided by the belief that all children should have an equal opportunity to thrive, WKKF works with communities to create conditions for vulnerable children so they can realize their full potential in school, work and life. The Kellogg Foundation is based in Battle Creek, Michigan, and works throughout the United States and internationally, as well as with sovereign tribes. Special emphasis is paid to priority places where there are high concentrations of poverty and where children face significant barriers to success. WKKF priority places in the U.S. are in Michigan, Mississippi, New Mexico and New Orleans; and internationally, are in Mexico and Haiti. For more information, visit www.wkkf.org. Winrock International is a recognized leader in U.S. and international development with a focus on social, agricultural and environmental issues. Inspired by its namesake, Winthrop Rockefeller, Winrock combines scientific and technical expertise with entrepreneurial innovation to deliver market-based solutions that improve lives around the world. Winrock’s mission is to empower the disadvantaged, increase economic opportunity and sustain natural resources across the globe. SALT LAKE CITY - Children's Miracle Network Hospitals is proud to announce that is has partnered with United Networks of America (UNA), one of the largest providers of value-added managed care products and services in the country. 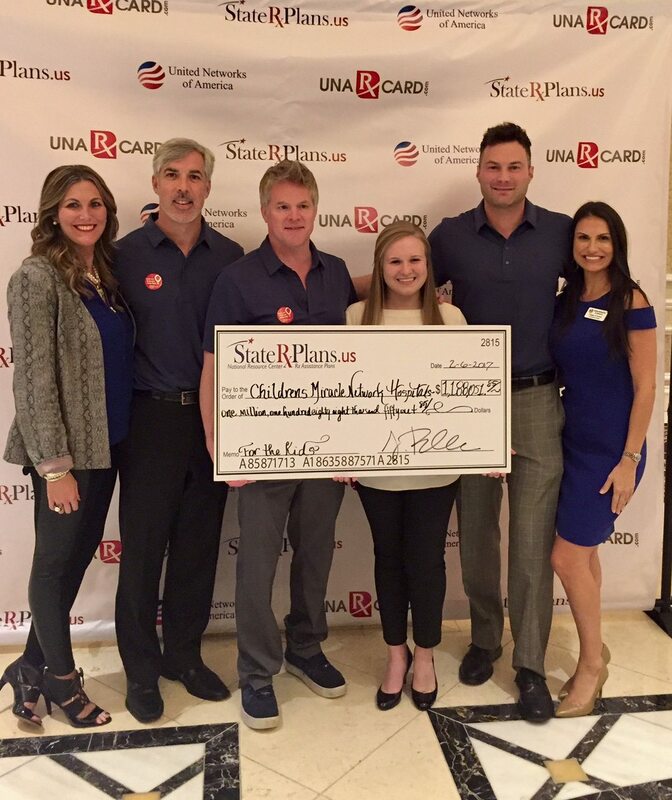 UNA Rx Card, the nations largest prescription assistance card provider, has committed a minimum of $1 million to fund program growth and development to help the charity's 170 member hospitals across North America to provide critical treatments, services and charitable care for sick and injured kids. "We are pleased to partner with United Networks of America to provide much-needed support for our children's hospitals," said John Lauck, president and CEO of Children's Miracle Network Hospitals. "They, too, understand the complexities of the health care system and want to make that system easier for families in need." 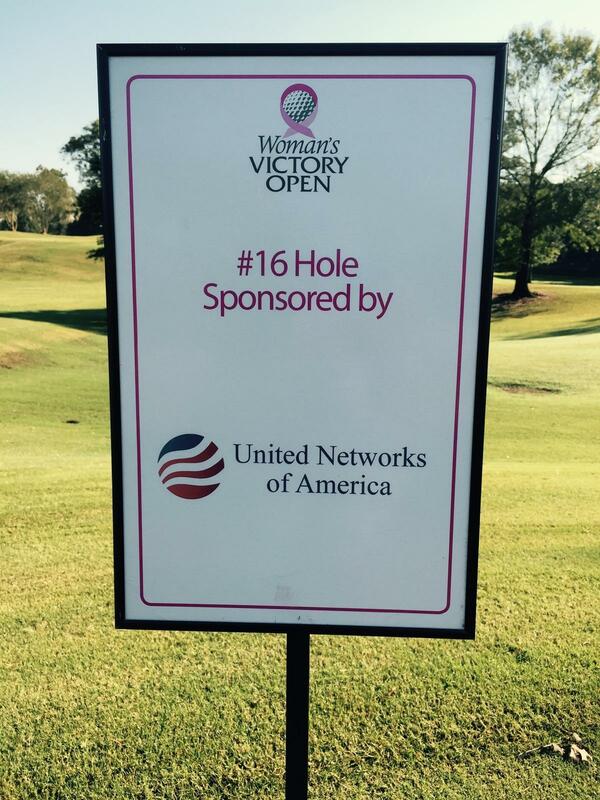 United Networks of America had the honor of sponsoring the Woman’s Hospital Victory Open. The Woman’s Hospital Victory Open has a long history of supporting social service, health and education organizations that work to address health issues affecting women. The pairing of world-class golf with worthwhile hosts and agencies results in magic on and off the green. From birth to mammography, from cancer care to surgery, Woman's Hospital specializes in the care of women and babies and is equipped to handle the expected as well as the unexpected. By 2020, Woman's will be the national leader in women's and family-centered care, achieved through innovation, evidence-based practices, and strategic partnerships. United Networks of America is one of the largest providers of value added managed care products and services in the United States. Since 1993, UNA has continued to grow its network to more than 240,000 participating providers serving more than 120.1 million members across the United States of America, Puerto Rico, Guam, and U.S. Virgin Islands. The diverse membership base is a testament to the versatility and value of those networks. UNA clients include TPA's, insurance companies, associations, universities, federal and state governments, school systems, large employers, among others. Each year, UNA programs continue to receive the highest rankings in the country among value added programs. The CVS Caremark Charity Classic is in its 16th year at Rhode Island Country Club in Barrington, featuring 20 professionals from the PGA, LPGA and Champions Tours and will be held on Sunday June 22 - Tuesday June 24, 2014. The Charity Classic has been bringing world-class golf to Rhode Island since 1999. 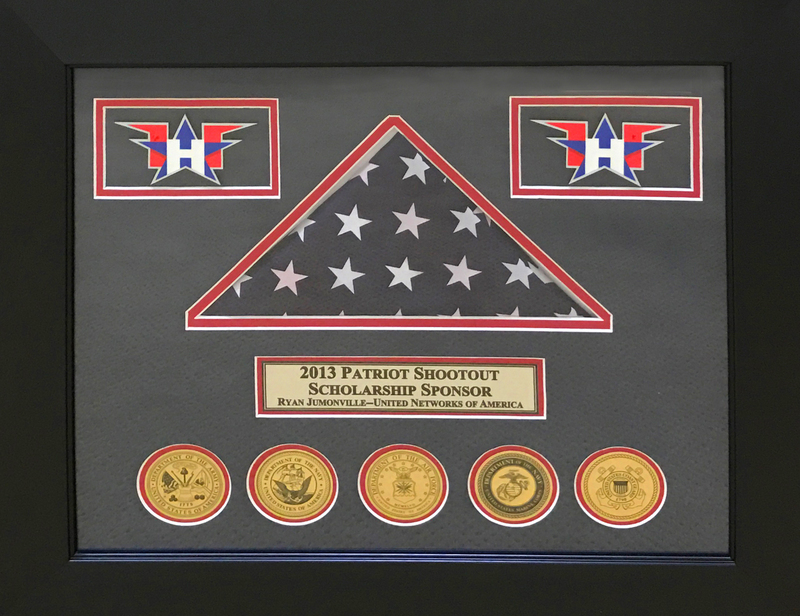 The tournament generates funds that are distributed to local nonprofit organizations that provide funding to a range of programs throughout Southern New England. 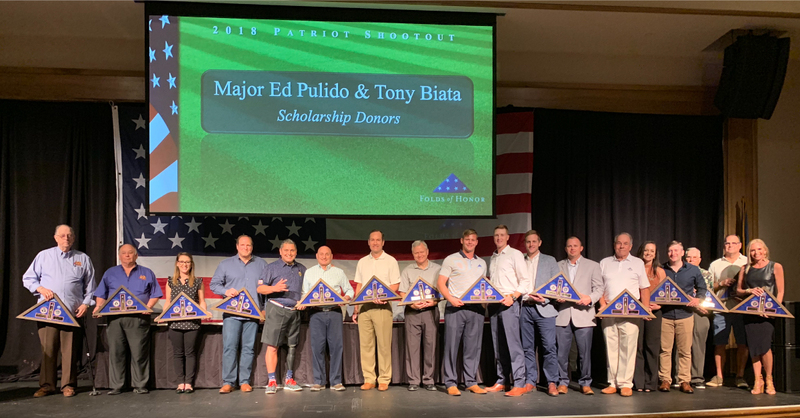 The tournament raised nearly $1.3 million in 2013 for charities across the area, bringing the total funds raised since its inception to more than $17 million. For the third year, UNA Rx Card and State Rx Plans have hosted the red carpet at the CVS Charity Classic Gala, with the Rhode Island Rx Card team directing people to have their pictures taken for the event. Click Here to view the 2013 CVS Gala. SALT LAKE CITY (March 24, 2016) Children's Miracle Network Hospitals is proud to announce that is has partnered with United Networks of America (UNA), one of the largest providers of value-added managed care products and services in the country. "We share the vision of Children's Miracle Network and their hospitals," said Ryan Jumonville, chairman of United Networks of America. "We also believe that together we can save kids' lives." Children's Miracle Network Hospitals® raises funds and awareness for 170 member hospitals that provide 32 million treatments each year to kids across the U.S. and Canada. Donations stay local to fund critical treatments and healthcare services, pediatric medical equipment and charitable care. Since 1983, Children's Miracle Network Hospitals has raised more than $5 billion, most of it $1 at a time through the charity's Miracle Balloon icon. Its various fundraising partners and programs support the nonprofit's mission to save and improve the lives of as many children as possible. Find out why children's hospitals need community support, and learn about your member hospital, at CMNHospitals.org and facebook.com/CMNHospitals. United Networks of America is one of the largest providers of value added managed care products and services in the United States. UNA has more than 240,000 participating Providers serving more than 120.1 million members across the country. To learn more about United Networks of America, please visit www.unitednetworksofamerica.com, or www.unarxcard.com for more on the national prescription assistance program. The Oregon State Chamber of Commerce (OSCC) announced a new partnership with the Oregon Rx Card today. The goal of the joint venture is to provide all Oregon residents with prescription assistance. OSCC will encourage local chambers of commerce, across the State, to distribute free discount prescription drug cards to residents. All Oregon residents are eligible for this program. Oregon Rx Card was launched to help the uninsured and underinsured residents of Oregon afford their prescription medications. The program, which is free to all residents, will provide savings of up to 75% on prescription drugs (savings should average roughly 30%). Oregonians can download a FREE card by visiting www.oregonrxcard.com or www.oregonstatechamber.org. Anyone not able to access the website, or otherwise obtain a member card, can simply visit any Safeway Pharmacy location and ask the pharmacy process their prescription through the Oregon Rx Card program. The program has no restrictions to membership, no income requirements, no age limitations and there are no applications to fill out. "The Oregon Rx Card has already had a tremendous impact on the residents of Oregon and, through our coalition of chambers, we should be able to help many more Oregonians afford their medications", said Leslie Carnes, Chairman of OSCC Board of Directors. "We are very fortunate to have the Oregon State Chamber of Commerce (OSCC) and their chamber members join us in this statewide prescription assistance initiative," states Oregon Rx Card Program Director, Andrew Stocks. "This partnership should help us bring this program to many more people who need help across Oregon." Oregon Rx Card can also be used by people who have health insurance coverage with no prescription benefits, which is common in many health savings accounts (HSA) and high deductible health plans. Additionally, people who have prescription coverage can use this program for non-formulary or non-covered drugs. Oregon Rx Card is accepted at over 50,000 pharmacy locations across the country. Oregon residents can download a free card, search drug pricing, and locate participating pharmacies at www.oregonrxcard.com or www.oregonstatechamber.org. (Atlanta, GA) – Program officials have confirmed that they will announce the official launch of the free statewide prescription assistance program at a news conference tomorrow in Atlanta. Georgia Drug Card is being launched to help the uninsured residents of Georgia afford their prescription medications. Georgians can obtain prescription cards at various hospitals, clinics, and other card distribution sites that are being set up across Georgia. The Medical Association of Georgia (MAG) is working with the program to create additional locations. The cards are accepted at more than 50,000 pharmacies across the country. Anyone interested in learning more can visit www.georgiadrugcard.com. The program is being touted as the answer for Georgia residents that find it difficult to navigate the confusing maze of prescription programs that have appeared in recent years. Georgia Drug Card is open to anyone living or working in Georgia regardless of age or income.